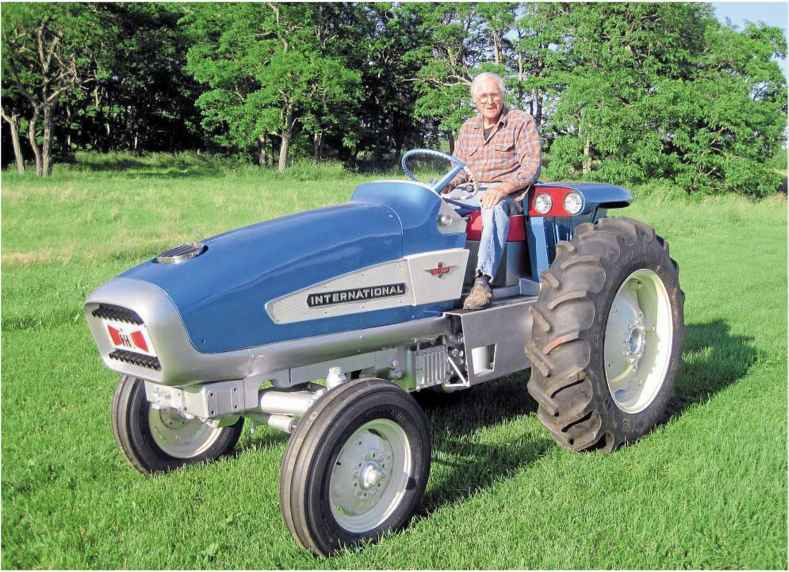 I WAS interested to read the excellent article by Gina Harvey on Martin Fernihough's Paramount Tandem kit Major/Dexta set-up (Tractor, Dec 2010). All good ideas, such as the Doe Triple D, result in others having a go at trying to replicate them, especially where farmers are involved. One such was the Paramount Tandem conversion costing £160 that had been designed by Mr P Saunders who farmed at Bleak House, Farringdon, Berks. As described in Gina's article, the rear tractor, with front wheels and axle removed, was attached to the three-point linkage of the front tractor, so enabling the two units to be quickly and easily separated. The parts needed for the coupling were manufactured by Paramount Engineering Ltd of 45 Yardley Street, Coventry. The Paramount conversion had the operational benefit of not having a massive front overhang when coming out of side roads, as the driver sat on the front tractor. But against that had to be set the difficulty in seeing what was happening with the implement behind the rear tractor, especially when ploughing, and in soft going the front tractor's small front wheels would have hindered forward progress due to their high rolling resistance. 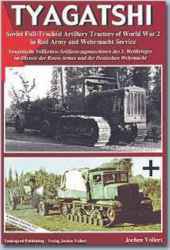 Various makes of tractor could be used in the conversion; here is a period image of an International leading a Major. Mr Saunders wasn't alone in developing a home-grown Tandem (of course, the original that spawned the Doe Dual Drive was home grown by Essex farmer George Pryor). Mr DA Day of North Farm, Cherington, Shipston-on-Stour, Warwickshire, wrote a letter to Power Farming in which he was commenting on an article entitled 'A Giant Sized Question', by Ralph Wightman, on lOOhp-plus tractors. Mr Day recounted how, after reading an article in 1964, he had made a tandem unit based on the 'Swedish idea', which he had been using successfully for 3V2 years, in conjunction with a heavy cultivator. He gave brief details of the tandem as, "Rear Tractor, Old Type Fordson (E27N) with Perkins P6 engine with aluminium pistons, up-rated to 70bhp, front tractor, Fordson Major with a Perkins P4, up-rated to approx. 58bhp." For control, the clutch was extended forward with a hold position within reach of the front tractor. Engine speed control was by a Bowden cable to a hand lever control. The tractor units could be readily disconnected by pulling out the drawbar pin and disconnecting the rear engine speed control. Interestingly, the letter made no mention of the fact that both tractors were on Miller-style steel wheels. George Pryor had though been beaten to the Tandem idea by a farmer in West Australia who described in a March 1953 magazine article in the journal Power Farming in Australia and New Zealand how he had connected two Field Marshals together, with the front axle of the rear tractor being removed, and the driver sitting on the front tractor. The article said the rear tractor could be disconnected and refitted with its front axle to be ready for normal work within half an hour. The drawbar of the front tractor was spring-loaded to iron out jerks when the engines weren't firing simultaneously - which presumably was most of the time. The governor and fuel pump controls for the rear tractor were taken forward to the driver, and an over-centre lever was used to operate the clutch of the rear tractor. There was no provision for changing gear remotely for the rear tractor, as changing gear was said to be rarely necessary. Tandem tractors represented a (relatively) quick fix to a situation where higher drawbar power was needed, (but the higher-powered engines needed for a conventional tractor weren't available at a reasonable price and transmissions couldn't in any case cope with the increased torque); the PTO power and hydraulic lift capacity though remained low, but Tandems were a fix that proved to mainstream tractor manufacturers that there was a market for more horses. COULD you help me, please? My problem is as follows: about three weeks ago I bought a Ford 3000 tractor. I've visited several sites with information about the serial and production numbers of the tractor. The serial number has three lines. First part is about the specifications of the tractor. My problems are the first and second number. The first number I can only explain as the production year and so on, so: 1966, November 7th, dayshift. The second part is causing the most problems for me. If it was the information about the specifications then it doesn't make sense to me, because the first number in that code should be a 3 for a Ford 3000. It should also contain information about the number of gears, PTO and so on. The number is also too short to contain all the information it should contain. Can you help me by explaining the numbers I've found?